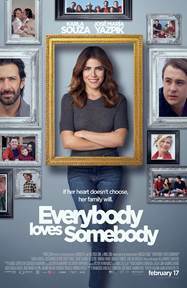 Actress-producer Karla Souza talks with Jesus, @Thisfunktional of Thisfunktional.com, about being the lead actress and a producer for "Everybody Loves Somebody." Souza talks about how the script written by Catalina Aguilar Mastretta really connected with her and how she was glad to play Clara and was excited to produce this comedy. She goes on to talk about she would have never imagined how timely this movie would be once it was finished.